It's pretty rare that you meet a couple that let you do run into the creative forest freely. That was exactly what Justin and Karen let me do, which I was most happy to! The wedding invitation mailed out to guests was a fold-out poster with details of the wedding on one side and on the other side it was this huge illustrated landscape of things they loved doing together, like being in the great outdoors, making music, discovering new things and sights together. We made the wedding stationery highly personal, all about the journey they've taken together so far and about what they love. 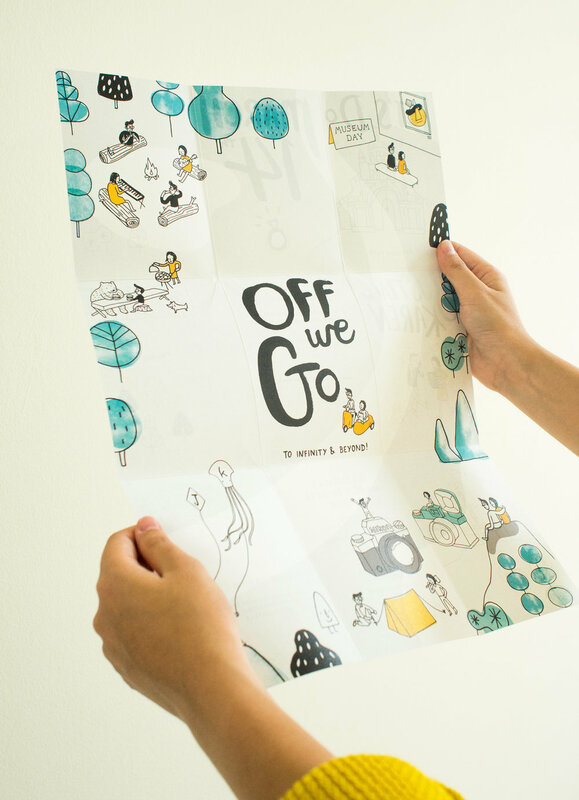 'Off we go' lets guests into their lives, to feel excited cheering them on as they take off into the unknown on their next big adventure into Married Life. Happy to share that this was featured on Design Taxi ! Whoop, whoop! Fill in the blank, guest! 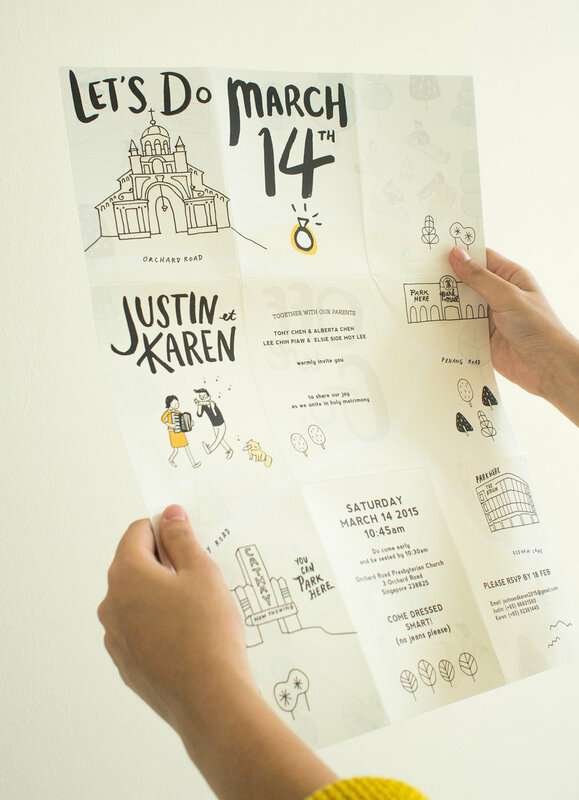 Instead of a typical hard-bound guestbook, we made a series of illustrated postcards of Justin & Karen on a big adventure somewhere, where guests could fill in and describe the scene happening in the postcard. Being the intrepid travelers that they were, you could find them in the Burger Ruins of the Amazon Forest, to finding treasure amidst treacherous deep seas, to disco dancing and dj-ing in the North Pole with the locals.